Winna Furniture creates Australia’s finest timber dining tables. Melbourne owned and operated, our business was established in 1978 – since then, we’ve since become a leading Melbourne name in furniture manufacturing. The passionate team designs and manufactures beautiful pieces that will complement the dining space in your home, including: Tasmanian oak tables, solid oak dining tables and a range timber tables. As Melbourne’s best of the best when it comes to supplying you with the finest timber dining tables Melbourne has to offer. At Winna Furniture, we’re always pushing the boundaries on design for our oak dining tables. Understanding the desire for modern furniture, we have spent over a decade developing and perfecting our range of Tasmanian oak dining tables. For those who prefer how things used to be, we offer a wide range of traditional, classical timber dining tables for Brisbane, Sydney, Melbourne and Adelaide based clients. Are you looking for a way to enhance your Melbourne home? Wooden tables can add a touch of elegance to any décor. By purchasing a Winna Furniture dining table, you’re buying furniture you’re guaranteed to love because our commitment to fine detail and quality workmanship are unparalleled with any furniture maker in Australia. We believe everyone’s dining room can benefit from a Tasmanian oak dining table from Winna Furniture! Whether you live in Sydney, Melbourne, Brisbane or Adelaide, our oak dining tables can be delivered to anywhere in Australia. 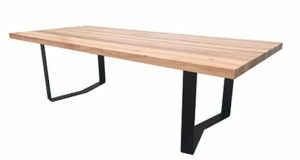 As we supply premium solid timber dining tables, Winna Furniture only uses supplies that have a Chain of Custody certification under the Australian Forestry Standard (AFS), the Programme for the Endorsement of Forest Certification (PEFC) and the Fine Timber Tasmania (FTT) certification programs. Each and every one of our products is made from legally obtained timber from a recognised forest source to the Australian Forestry Standard. Winna Furniture offers the very best in timber dining tables. Melbourne locals will love our massive range – from the elegant Austin Dining Table to the timeless Bronte, the elegant Derwent to the simple yet beautiful Carson. Light up your living room like never before with a Tasmanian oak dining table from Winna Furniture. Want to learn more about our collection of timber dining tables? 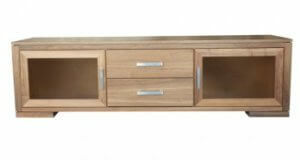 Melbourne, Sydney, Brisbane and Adelaide’s best furniture makers are Winna Furniture. 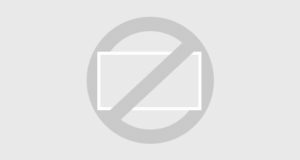 If you are looking for furniture makers to custom build Tasmanian blackwood furniture, timber tv unit or Tasmanian oak buffet furniture you have come to the right place.